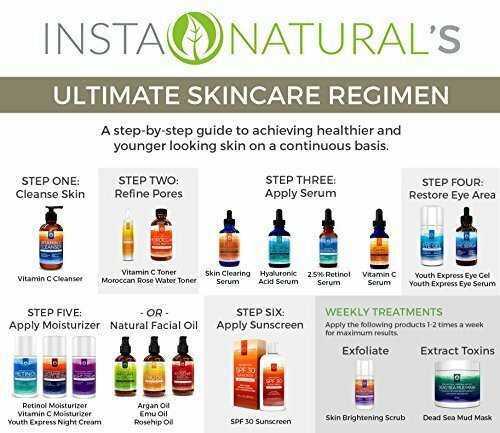 For the last month I’ve been reviewing two products for InstaNatural’s Amazon campaign! As a beauty lover this campaign has been a real treat as I’m a firm believer in products which use natural products to help look after your skin. 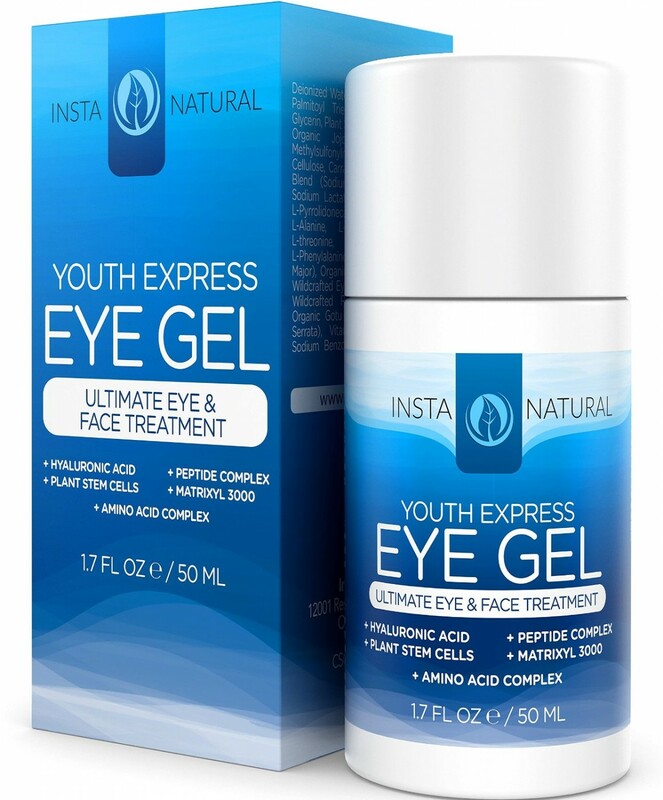 The two products I’ve been reviewing are InstaNatural’s Hyaluronic Acid Hydrating Serum and Youth Express Eye Gel. My daily routine has included cleansing with my normal facial wash (Simple’s moisturising facial wash) and then massaging the InstaNatural Hyaluronic Acid Hydrating Serum in an upwards motion all over my face and neck. I’ve been paying particular attention to massaging the serum into my forehead as I have very faint dehydration lines. I then gently dab the InstaNatural Eye Gel onto my fingers and rub under my eyes and make smooth strokes along my cheeks to target/prevent any laughter lines. I then apply some moisturiser and then my make up. I’ve been using both products twice a day and have noticed an improvement in my faint dehydration lines and the overall appearance of my skin. My complexion isn’t as dull in the morning and considering I’ve had a number of late nights, my eyes don’t have any noticeable bags. In essesnce, my skin appears as if I’ve had a great night’s sleep! Dehydration lines are pesky as they’re not as defined as wrinkles meaning it’s harder to find products which specifically target them. I’ve been told many times that I do need to incorporate more water into my diet. This is said to really do the trick. Both the serum and the eye gel feel cold when applied. I was using both during our recent outbreak of hot weather in the UK and this was perfect. My skin felt as if water had been massaged into it. My under eyes looked plumper (when you have bags under your eyes the skin often appears thinner and darker in this area). The eye gel has a tingling sensation which I liked as psychologically you feel as if it’s working right away! The serum is applied using a pipette which I found to be a really practical and quirky feature. I simply insert it into the bottle having pinched the tip of the pipette and pull it out once it’s collected a decent amount of serum. I then squeeze the serum onto clean hands and apply in circular motions, upwards, to penetrate my pores. As mentioned earlier, one of the resons I love using both products is the use of natural ingredients such as vitamins C+E, cucumber, plant stem cells and green tea! If I’m not going to physically drink green tea or eat cucumber often, I want to make sure my skin at least looks like I do! I do wish I had found out about these products sooner. I often work long hours and get by on very little sleep. However, now I don’t have to apply lots of foundation and concealer to create an “awake” look. In fact, these days I can go to work with just eye make up and no foundation or concealer at all! If I had found these products last year I would definitely have used them in the run up to my wedding! I received both products free of charge in exchange for an honest review. I was not asked to write a positive review. In fact, I was asked to submit a review which would be used on Amazon (which I did) but I loved both products so much I decided to talk about them here on STB!